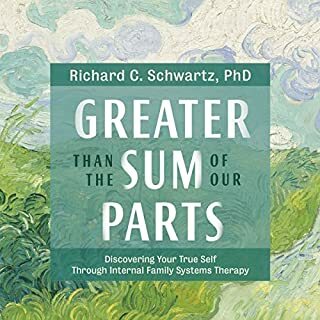 How do you cope when facing life-threatening illness, family conflict, faltering relationships, old trauma, obsessive thinking, overwhelming emotion, or inevitable loss? If you're like most people, chances are you react with fear and confusion, falling back on timeworn strategies: anger, self-judgment, and addictive behaviors. Though these old, conditioned attempts to control our life may offer fleeting relief, ultimately they leave us feeling isolated and mired in pain. There is another way. 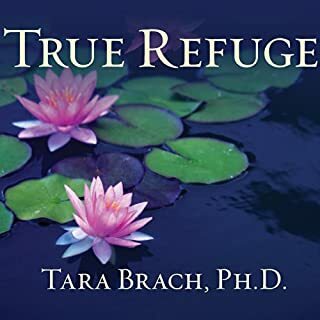 Written by: Tara Brach Ph.D. 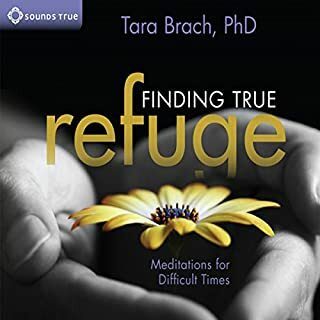 When we seek comfort and relief from stress, Tara Brach teaches, we often unconsciously turn to false refuges such as material wealth, approval from others, or a preoccupation with the past and future. Yet by cultivating true refuge in this moment, not only can we find shelter from the storms of life but we also open ourselves up to fully experiencing joy and fulfillment. 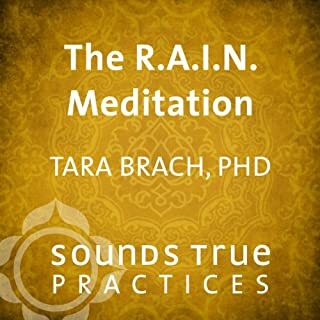 Here, Tara Brach guides a meditation using the therapeutic R.A.I.N. process for releasing fear and healing through self-compassion. Despite our best intentions, we often have trouble dealing effectively with strong emotions. What if you had a conscious, skillful way to respond in times of anger, fear, jealousy, shame, and other powerful emotions? Meditations for Emotional Healing gives us a collection of insights and practices for bringing compassion, clarity, and understanding to our emotional lives-instead of expressing or repressing them in unhealthy ways. Marvellous articulation of the consciousness! The practices mentioned in this book are life changing and profoundly moving! foundational reading for a meditation practice. draws on multiple lineages and tradtions, mostly but not solely Buddhist. could certainly "take what you like and leave the rest", meaning, wisdom is wisdom---irregardless of what tradition it arise from. many possibilities to take the seeds Brach gifts us with and plant them in gardens of all spiritual traditions. Wordy and long at times, but the bones are outstanding! I will keep and listen to this again and again. It's the kind of book you can always take something else from. 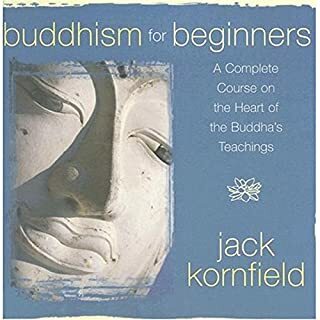 Radical Acceptance is a rather thorough walk through Buddhist practices that are applicable to daily life, highlighted by numerous personal antecodes from the author (either from her own experiences, or from those she has mentored). 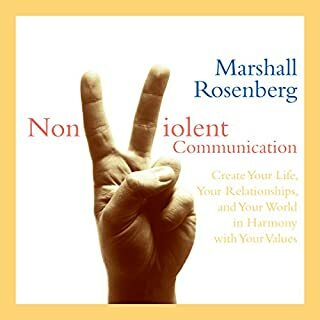 I found RA to be an extremely pleasant and valuable listen with believable, down-to-earth examples. Cassandra Campbell is a great choice for narrator--I enjoyed her even-keel delivery. Some segments of the book felt a touch lengthy, perhaps the book could have been 10-20% shorter at most. I would not be surprised if I turn back to this book every year or so for re-listening. If you struggle with stress, self-image, and/or overpowering emotions, RA is an fantastic choice. I think what attracts me to Buddhist teachings is that the hook is self-centered--get more out of life, take care of yourself--but the way is ultimately through the people and world around you. Below is a loose collection of notes I captured while working through the book. Listen and enjoy. - The 'mara' are the temptations of life. Welcome their enterance, and their subsequent passing, and understand they are not your fault. To do so is to be your own best friend. - 'Carencia' is when the bull in a bullfight pauses. Its the sign of strongest bulls. - Practice smile yoga. Don't compare your life's cooking to Pillsbury biscuits. - Pain is a very important messenger. Pain is inevitable, but suffering is optional. - Emotional traumas cause dissociation. Dissociation leads to recurrences of neuroses until event is revisited and understood. - To define yourself by desire is to miss out on life. Don't fully suppress desire--it is responsible for a lot of good in this world. - Buddha the teacher, Dharma the way, Sangra the community. Turn to your community. - Coping with fear and remorse is all (necessary) practice for death. 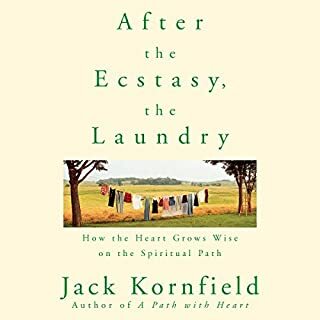 As someone that has been burnt on religion and navigating the messy aftermath, I felt this book was written just for me. I've been very skeptical of all the new agey, spirituality, look to the universe type, influences floating around. I see the value but I just don't feel they're all for me. However, The concepts in this book are well presented for someone wanting to create some change. 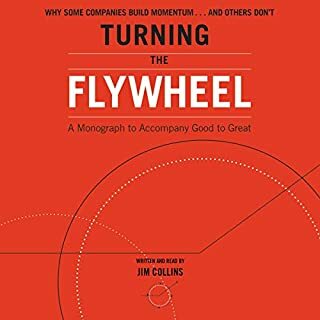 The examples given, resonated perfectly with where I am in life and also where I've been in the past. The author doesn't come off as an "all-knowing" spiritual leader. I saw her as someone who is willing show her vulnerabilities, personal faults, and felt I could relate to her as an imperfect human, striving to be good, like everybody else. This book has given me so much more clarity for what's ahead and I'm very grateful for it. I'm going back through it again, right now. 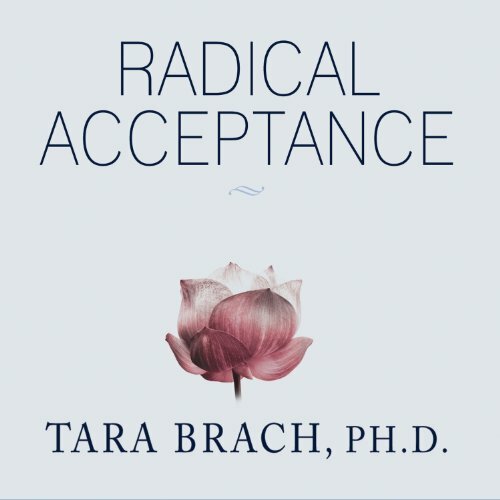 Where does Radical Acceptance rank among all the audiobooks you’ve listened to so far? I have read many books on meditation. I have been a fan of Tolle for a very long time, but I have to say this book by Brach is far more reaching and more practical than any book I have read by Tolle. Tolle I have seemed to listen to countless times, but found Radical Acceptance to provide clearer direction on what action to take day by day. She gives very clear examples of how to practice mindfulness, meditation, and work through some emotional issues. Her reading is wonderful, to the point, read with emotion. She reads this book as if she was the author. Excellent! Listening to Radical Acceptance has given me an enormous sense of freedom. It has also inspired my continuing interest in Buddhism. 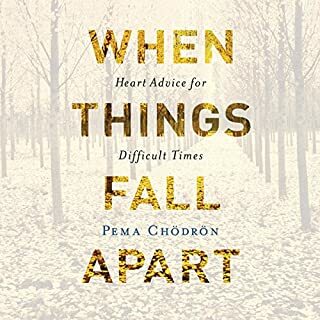 If you have difficulty with not feeling "Good Enough" for whatever reason, this book may bring you profound peace. It dovetails beautifully with Brene Brown's The Power of Vulnerability. Many of the same ideas in different language. My only quibble is that while most of the time the narrator is serene and soothing, there are times when the emphasis she uses seems out of place. However, I have found from listening to many books and reading many reviews that preferences regarding narration are all over the map, so others may not even notice. Overall, a life-changing book! 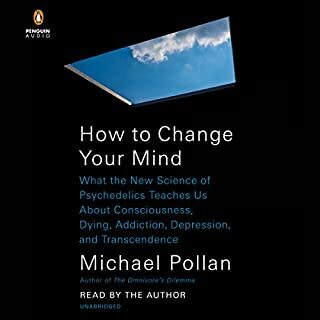 I didn't not like it, the author clearly has experienced transformation through practice and would make a wonderful friend and is pleasant to listen to. I was looking for something more structured so I'm trying TGC on Buddhism instead, by Eckel. What made the experience of listening to Radical Acceptance the most enjoyable? 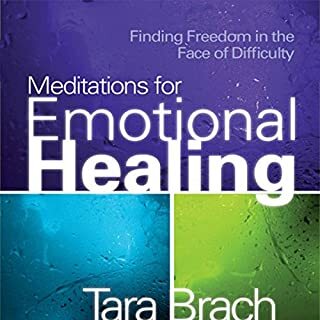 Tara Brach was confirming concepts I've been reading about: Ekhardt Tolle, Byron Katie, ACIM. When the student is ready the teacher appears. And wow...thank you Tara! I can listen to it again and again and get something out of it each time. Which character – as performed by Cassandra Campbell – was your favorite? Cassandra Campbell is my favorite narrator ironically. She was one of the narrators in The Help. This was a great combo for me: fav narrator and fav subject matter. All the great and different stories that explain things in a way that resonates. And disrupting our habitual behaviors in order to accept in the moment...try it! 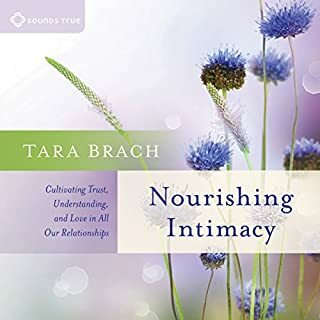 I first heard of Tara Brach on Hay House Radio in 2007 and I had only heard a meditation by her but I loved it. So I was going in sorta blind on this book and I was so thrilled she was talking about exactly what I was studying. I've read Jack Kornfield, Mark Epstein, Pema Chodron and Ram Dass...Tara is right up there with the master teachers. Not really. First of all, it was very, very long - the longest book I've ever listened to. And for the length, I did not get as much out of it as I did from others on similar topics. I would recommend Kristin Neff's "Self-Compassion". It's a nonfiction book so there is no true end to a story, but I will say that I was disappointed that their was no "wrap-up" at the end of the book. She was easy to listen to and did a wonderful job staying enthusiastic long after my interest in hearing the book had faded. Could you see Radical Acceptance being made into a movie or a TV series? Who should the stars be? 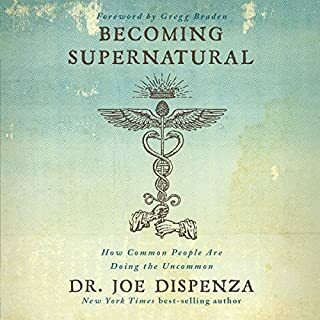 The author tried to use this book as a way to have radical acceptance be accessible to everyone, regardless of one's spirituality. 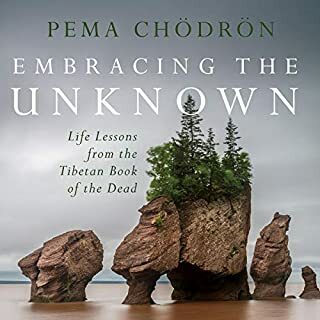 But as I got to the second half of the book, I became less and less able to translate the concepts to my own life, as they became increasingly focused on the Buddhist practice of achieving a zen-like state of "perfect awareness". I came looking for a method to accept my life and my self, but instead was instructed on how I should let go of any concept of a "self" through a very specific Buddhist path. 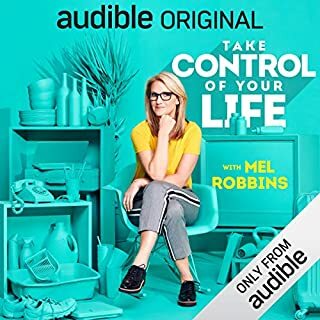 Purchased the audio version. No, wouldn't change the content of the book. 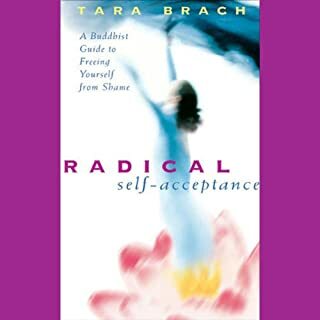 Tara Brach for courageously sharing her life experiences so openly. Who would you have cast as narrator instead of Cassandra Campbell? Just about any other narrator. Perhaps even Tara Brach herself could have narrated the book in a more personable tone. Steering clear from any audiobook narrated by Cassandra Campbell. The snobbish tone of the narrator was just too distasteful for me. She narrates professionally, but the soulless quality was too evident. Couldn't finish listening to the audiobook even after many attempts to continue. Worthy of the recognition this book already has. I haven't listened to Campbell's performances before, but her narration on this book is fitting for the author. The pairing is done well.